Community Learning Centers (CLCs) are all about helping kids be successful. 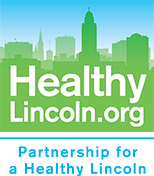 CLCs collaborate with many community partners across Lincoln, using schools as a hub to connect schools, families, neighborhoods, and community organizations, to provide what children and youth need to thrive and be healthy at 26 school sites in Lincoln. 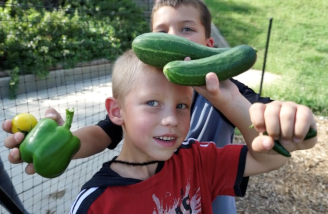 Throughout the school year, the CLCs were able to offer additional opportunities to the children they serve through a series of mini-grants from Partnership for a Healthy Lincoln and the Lincoln Community Foundation. 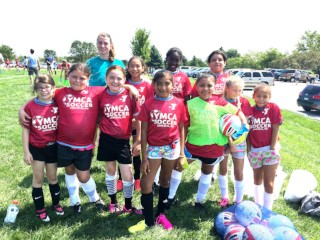 The Elliott Elementary CLC used mini- grant funds to offer YMCA Youth Sport Soccer to their students, as well as basketball during the winter months. “The experience of belonging to a sports team, practicing together, and playing in competitive games helps our kids be both physically active and mentally healthy.” Says Elliott CLC Site Supervisor, Kristi Chambers. Grant funds helped reduce the cost of fees, cost of equipment and helped to provide transportation for the youth and families. Additionally, parents were actively involved, attending practices and games. Prescott CLC used the mini-grant to purchase the CATCH Kids Club Curriculum. This curriculum is backed by 25 years of research and encompasses nutrition education, physical activity, screen time reduction and tobacco avoidance. “At Prescott school, our priority is student learning and we know that students health impacts learning behavior,” says CLC Site Supervisor Cristina Keen. Belmont CLC’s Mission Nutrition club provides nutrition education and exercise. Students start their day by trying a new fruit or vegetable and making a healthy snack that is cost-effective. At the Belmont CLC, Site Supervisor Lindsay Limbach says kids learn about food groups, using “MyPlate” to understand portion control and making healthy food choices. Exercise and brain games like bingo, relay races, matching games and jeopardy keep kids mentally and physically engaged. Calvert CLC’s mini-grant will support their garden club with additional staff. This garden club leader position will work with students to be part of the development and co-ordination of garden activities, events, education opportunities, outreach and community engagement – with help from volunteers and the garden’s events group. The CLC Activity League is a group of CLC site supervisors who put together afterschool programming and yearly events for youth. This year the Activity League planned a spring break camp focused on music and movement. The aim of the camp is to get kids moving with a purpose through music, dance, games, improvisation, and group challenges. The camp ended with a final performance lead by students for their parents and community members, followed by a healthy meal.